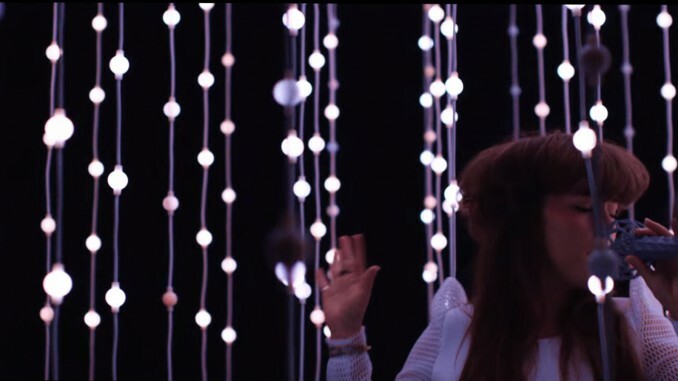 Purity Ring drops a brand new Video from their latest album Another Eternity of the track Heartsigh, check it out below! In February 2014, the duo announced they were working on a second studio album. This was the first album they recorded entirely in the studio together. The duo collaborated with rappers like Danny Brownand Angel Haze. On December 3rd, 2014, they released the first single from the album, “Push Pull”. On January 13, 2015 the second single from the album, “Begin Again” was released, along with the formal reveal of the album’s title, Another Eternity, as well as the album’s cover and track listing. A third track from the album, “Repetition”, was premiered on February 4 on BBC Radio 1‘s Huw Stephens‘ show. On February 26, Another Eternity became fully available to hear online via NPR Music‘s First Listen. Another Eternity was released in the United States on March 3, 2015.